Gama-Go is a company started by Greg Long and Chris Edmundson in 2001. They began with silkscreening t-shirts with novelty artwork from their friends. Today they have expanded to making gifts and home products. 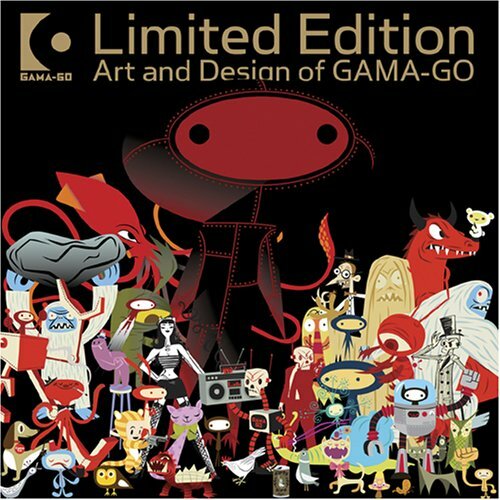 Art and Design of Gama-Go is a selection of T-shirt designs they have printed before 2008 — the book was published in 2007. This is a small squarish hardcover, but it's 402 pages thick. There are lots of vector-style cartoon like characters to check out, one of each page. Nice little book with fun art.